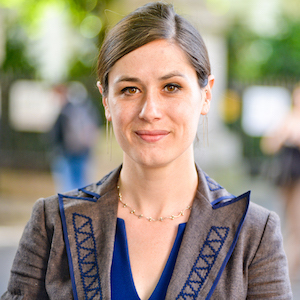 Libby Peake is a senior policy adviser on resource stewardship at Green Alliance, a UK based independent charity and think tank. Green Alliance works with businesses, academics, NGOs and government to stimulate new environmental thinking and sustainable policy solutions. In the resource stewardship theme, this includes convening the Circular Economy Task Force, a forum for policy, innovation and business thinking on efficient resource use in the UK. Before joining Green Alliance, Libby spent 10 years at Resource Media, an environmental publishing house that promotes the use of waste as a resource. Her areas of expertise include resource efficiency and the circular economy, plastic pollution and waste management, and energy from waste.